Jeff over at 2719 Hyperion consistently has great analysis of all-things-Disney. 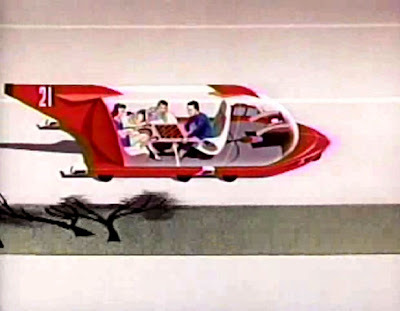 Last week he posted the futuristic segment from the 1958 Disneyland TV show, "Magic Highway, U.S.A." Provided it stays up, I recommend checking out the clip because you can't find this program anywhere else. You may remember the clips that we've looked at here on the Paleo-Future blog, including the commute as well as farm to market. Labels: 1950s, 2719 hyperion, disney, disneyland tv, magic highway u.s.a.